ICM Capital is an FSA authorized online broker. Its main focus is on CFD, commodities and Forex trading. ICM Capital is engaged in having an active trading technology and efficient services. Those services cover markets of Brent Crude oil, Commodities, Forex, gold and silver or Indices. Various assets are offered for trading and investing in. ICM Capital offers Islamic trading for the minimum deposit of $100. If you are a novice trader, ICM Capital offers opening a demo account. This is a good place to test your skills and strategies, but also a way and the place to building awareness, getting familiar with the market and the platform itself, as well as discover the methods that best suits you without having to invest your real money. 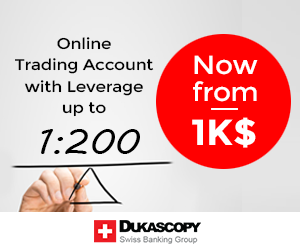 The next level is opening the standard account, for which the minimum deposit is $100. Traders can choose to open a swap-free account, which is Islamic-economics-principles-friendly. As for opening the account, it requires you to go through very standard procedure, with three steps. First is filling in your contact information, second is to give the information about your experience in order for ICM Capital to adjust the platform for you, and third step is filling some basic standard formalities that you have gone through dozens times before for other application formalities, and after you deposit your funds, that’s it. For the demo account, the deposit is not needed. In order to place deposits, there are three options for ICM Capital users; bank transfer (for USD, AUD, GBP and EURO), Credit Cards (VISA, MasterCard…) or Moneybookers (Skrill). Standard easy procedures are demanded from customers. When everything is done, traders can approach to trading. ICM Capital, as simple but highly efficient with everything, gives the one – the most popular – trading platform, yes, you guessed it; MetaTrader4. And yes, it can be used on desktop, android platforms, Windows operated mobile users and basically anything that you can connect to the internet. For those who are new to the trading this way, online and Forex, there is a section named “Education Centre”, which is placed in the Support of the website section. New traders can get the information about a dozen topics with countless sub-topics that go further in detailed explanation of what is it all about. 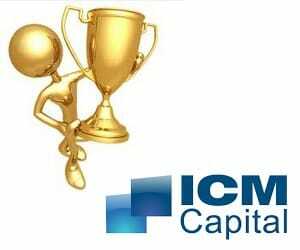 Support section contains the customer support section for which ICM Capital won an award for being “Best Customer Service Provider” at a contest held in 2012 in Dubai. Users can send questions via questioner formulary, email or telephone. If you wish, you can use live chat.